For the past quarter-century, Colorado’s Leftover Salmon has established itself as one of the great purveyors of Americana music, digging deep into the well that supplies its influences; rock ‘n’ roll, folk, bluegrass, Cajun, soul, zydeco, jazz, and blues. They are firmly settled in the long lineage of bands that defy simple categorization, instead of setting their own musical agenda. They are the direct descendants of bands like Little Feat, New Grass Revival, Grateful Dead and The Band, born of the heart and soul of America itself, playing music that reflects the sounds emanating from the Appalachian hills, the streets of New Orleans, the clubs of Chicago, the plains of Texas, and the mountains of Colorado. During Leftover Salmon’s twenty-five plus years as a band, they have headlined shows and festivals from coast to coast, released nine albums, and maintained a vibrant, relevant and influential voice in the music world. 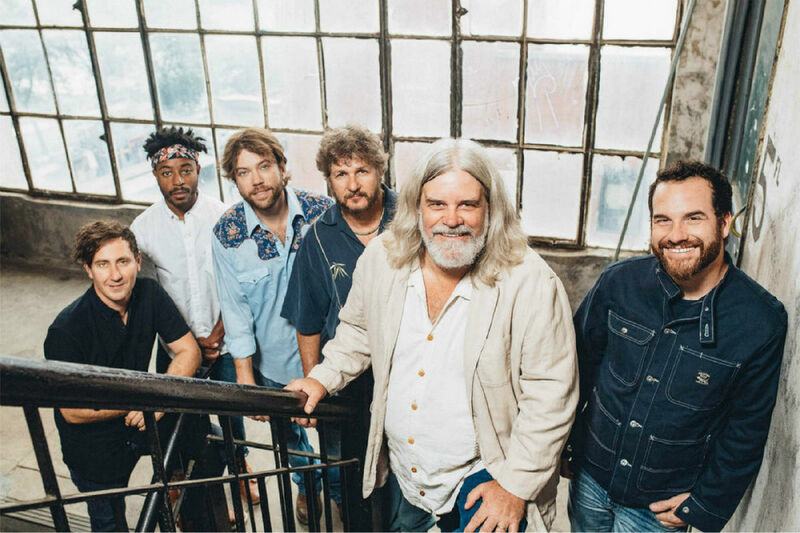 Over that time, Leftover Salmon’s sound has grown and evolved while staying true to the roots and guiding spirit of the band’s founding members – mandolinist/singer Drew Emmitt and guitarist/singer Vince Herman. The evolution of Leftover Salmon’s music is influenced by Emmitt and Herman’s keen musical instincts and follows a musical path that adheres to the deep tradition the duo started when they first formed the group along with deceased banjo player Mark Vann. The addition of new band members over the years has nurtured an unmistakable evolution and freshness in Leftover Salmon’s sound and has added an edge to the long-lasting power of the band’s music. Today, Leftover Salmon endures as a vital and significant presence and holds an unequivocal stature as a truly legendary band. Now fueled by the rhythm section of drummer Alwyn Robinson, keyboardist Erik Deustch and longtime bassist Greg Garrison, the band is currently enjoying a creative renaissance. The front line trio of Emmitt, Herman, and prodigious banjo player Andy Thorn are continually challenged and pushed in new directions as the band collectively searches for new spaces and sounds within their extensive catalog of songs. Leftover Salmon’s greatness cannot simply be measured through album and concert ticket sales. For a band as unique as Leftover Salmon, that measure is found in their impact on the music world as a whole. With their unpredictable approach in a live setting, their willingness to take chances by fusing disparate musical styles together and their incorporation of non-traditional bluegrass covers into their repertoire, Leftover Salmon has pushed that progressive bluegrass sound they were originally influenced by to the next level.